Through our outreach efforts, OWCAP seeks to exchange knowledge and expertise with decision makers “on the ground”, prioritizing effective (and developing new) ways to help stakeholders learn and make use of sound, science-​supported information and expert guidance on water conservation and water use efficiency. 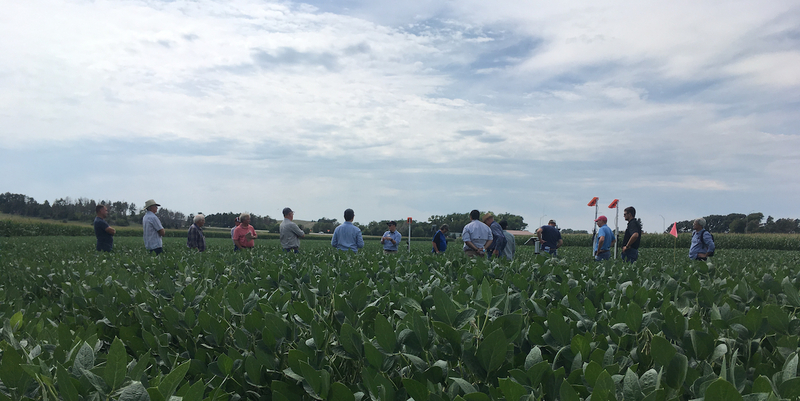 Daran Rudnick (UNL) discusses research activities including the Testing Ag Performance Solutions program (taps​.unl​.edu) at the West Central Research and Extension Center’s Field Day August 24, 2017. 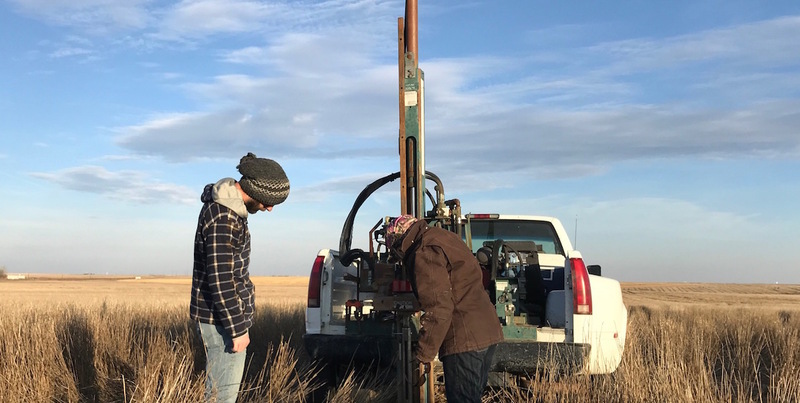 CSU’s PhD student Agustín Nuñez and Technician Angie Moore collect deep soil cores from a field near Burlington, CO, that transitioned from irrigated to dryland management about 10 years ago. 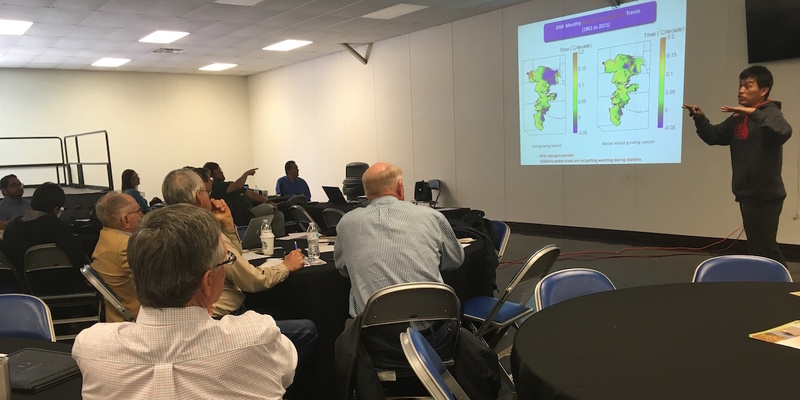 Nuñez seeks additional farmers in eastern Colorado, Nebraska, and western Kansas with formerly irrigated fields currently in dryland crops/​CREP/​Pasture willing to have their fields sampled. Click here for more information. 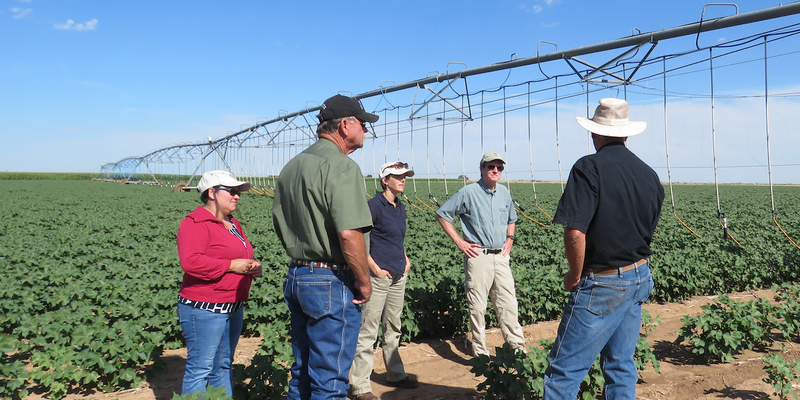 Collaborators from the Ogallala Water CAP and the Texas Alliance for Water Conservation visiting fields near Lubbock. 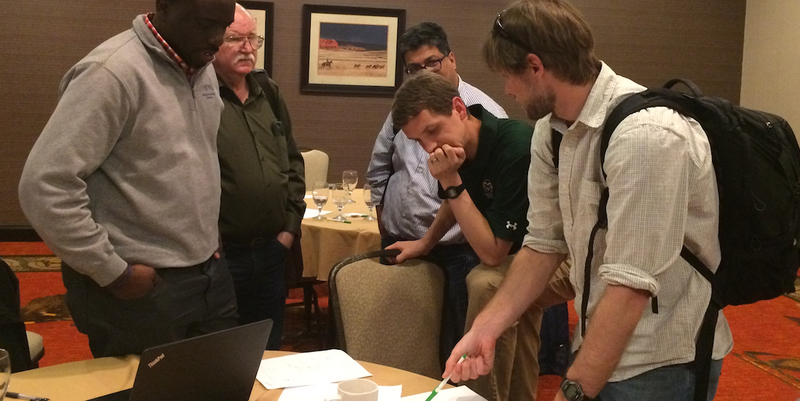 March, 2017 meeting (Amarillo, TX) Ogallala Water CAP hydrologists, agricultural economists and irrigation engineers from CO, KS, TX and CA pushing forward on their integrated modeling work.